Vic First Aid is Victoria's leading First Aid Provider in Regional Victoria & the fastest growing group in metropolitan Melbourne. 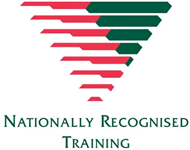 Dedicated to delivering a supportive and friendly training experience, we aim to help you develop the skills and confidence needed to support casualties and save lives. Courses offered include CPR, Level 1 First Aid, Level 2 First Aid, Anaphylaxis Training & Asthma Training. Public courses are run in Melbourne, Greensborough, Mill Park, Ballarat, Bendigo, Shepparton, Wangaratta, Horsham, Warrnambool & Traralgon. On-site courses can be delivered at your workplace at times to suit your group. Courses will be tailored to meet the needs of your industry.